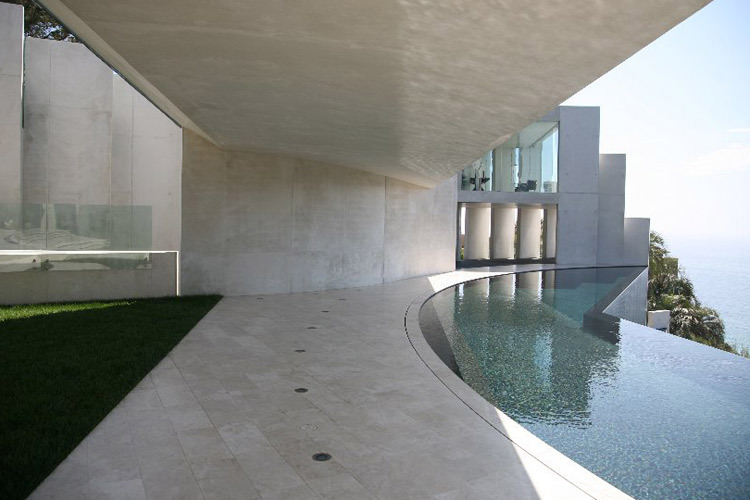 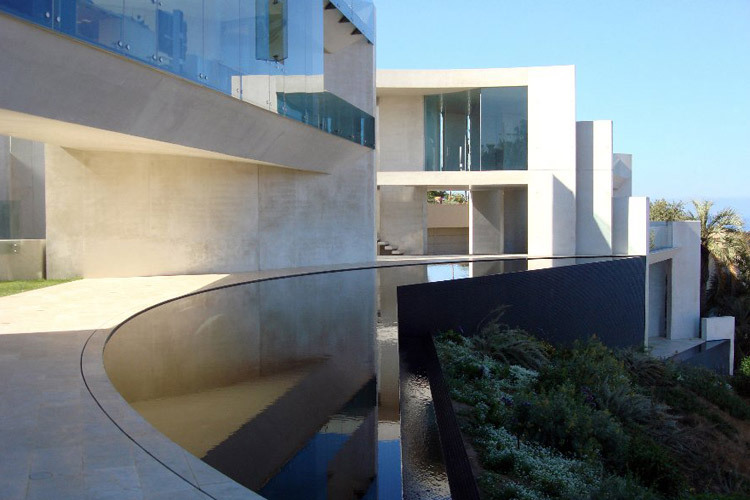 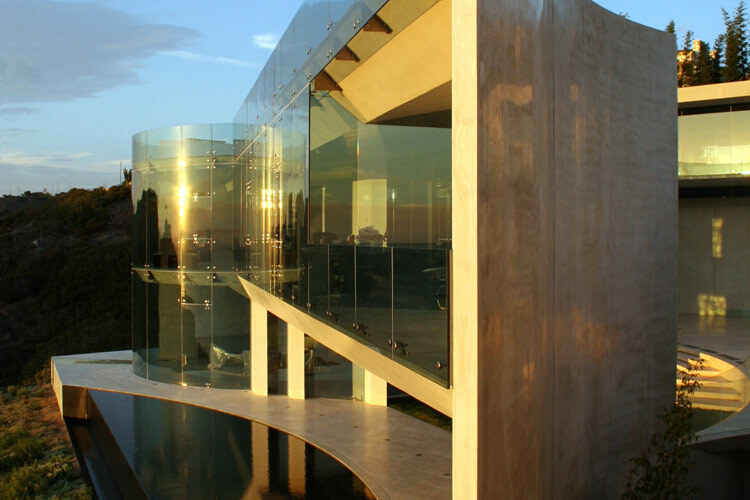 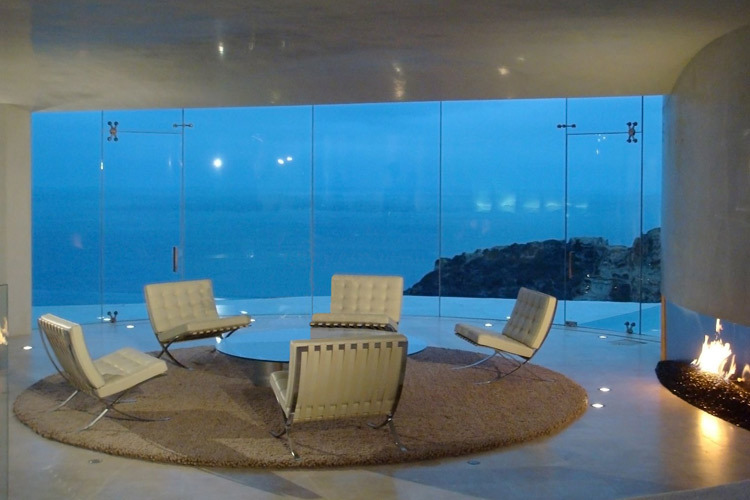 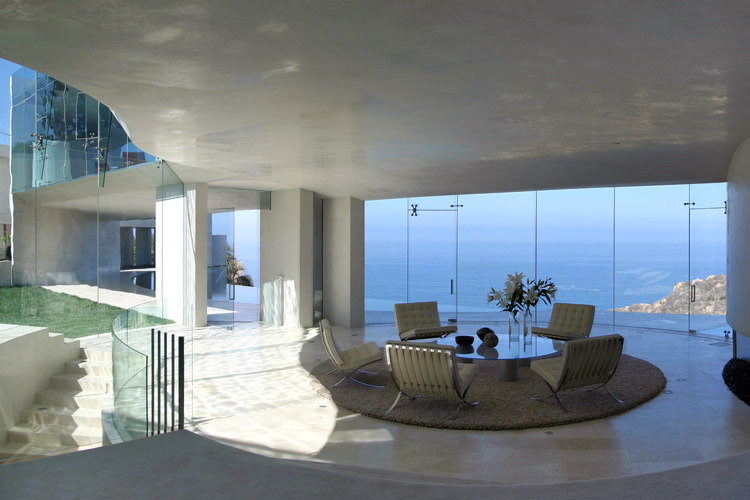 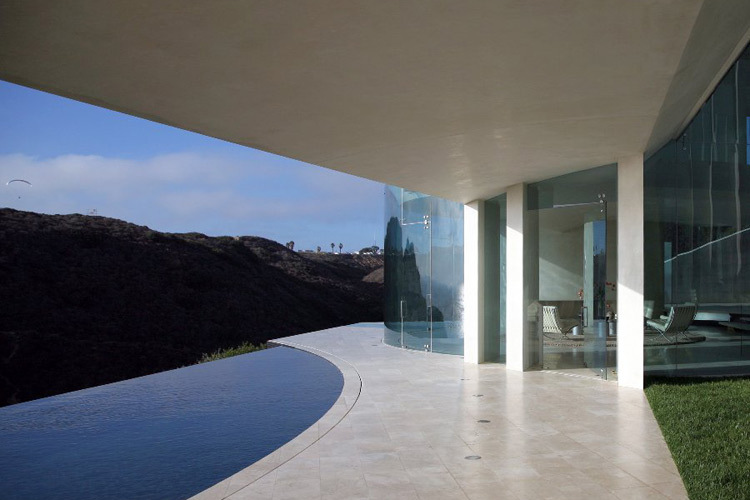 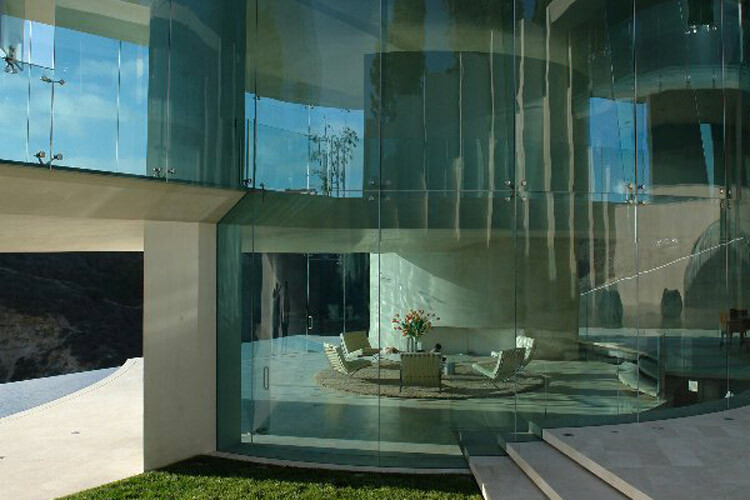 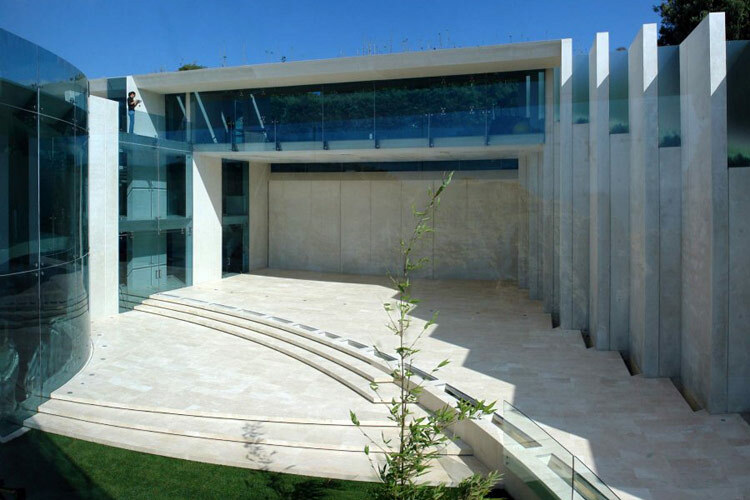 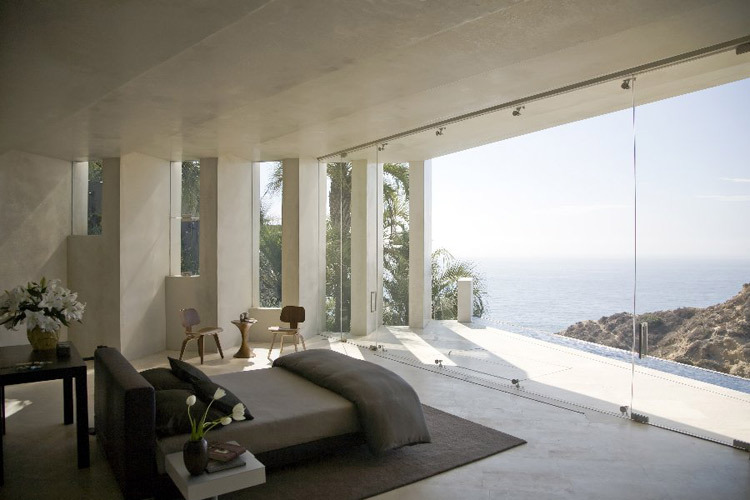 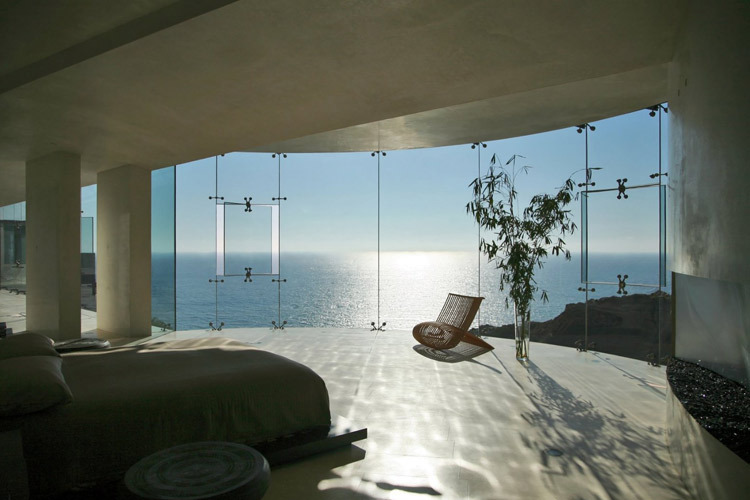 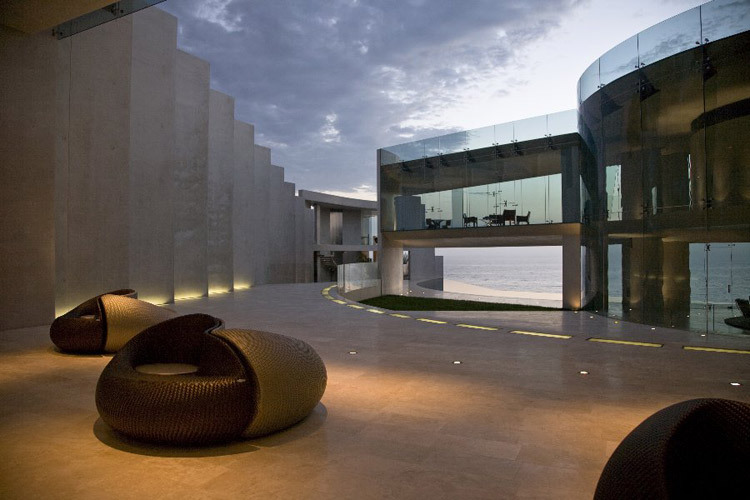 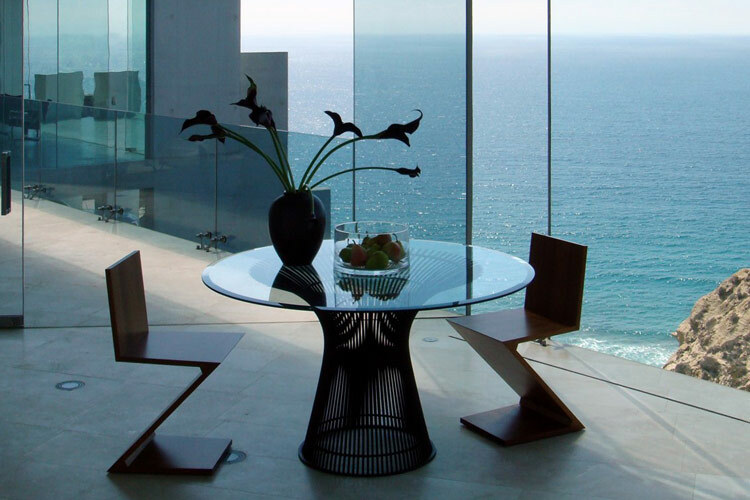 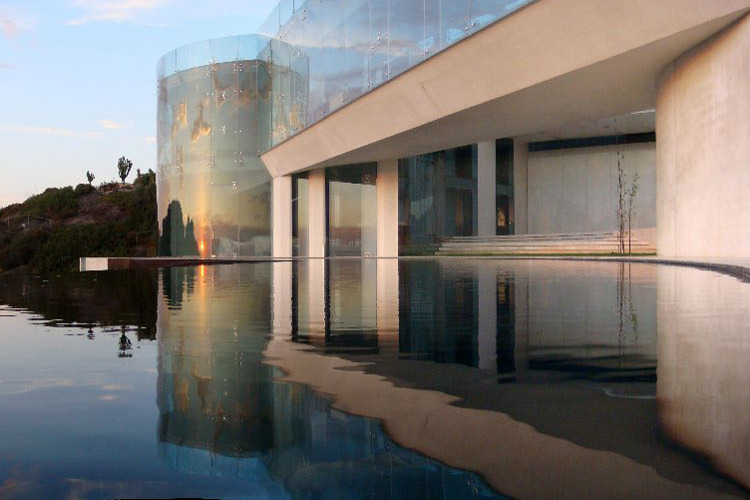 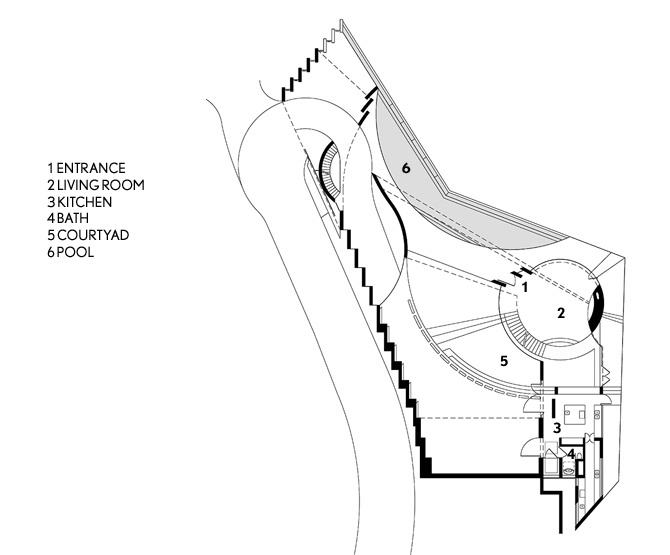 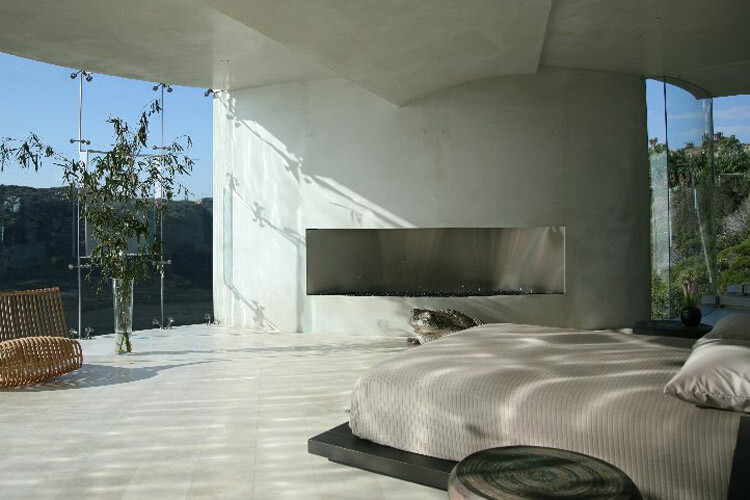 San Diego-based architect designed the Razor Residence, a four bedroom, six bathroom contemporary house made of glass, steel and white polished concrete. 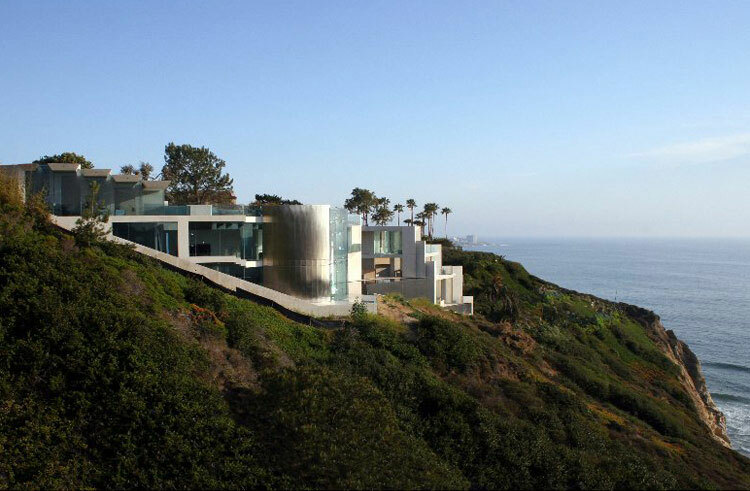 Unfortunately for the homeowners, the economic downturn has significantly affected the sell price: the property is still on the market at the time of writing, and it could be yours for only $19,388,000. 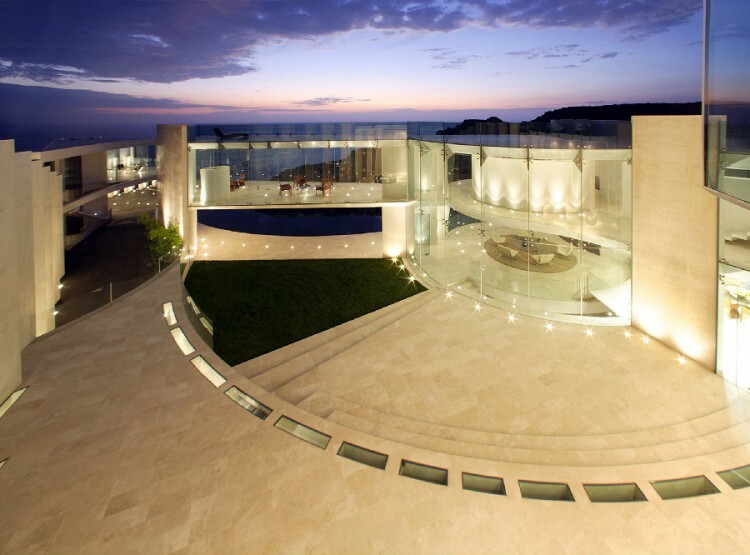 “This “one-of-a-kind” architectural masterpiece in La Jolla, California, is a unique trophy property designed by one of Architectural Digest’s Top 100 Designers. 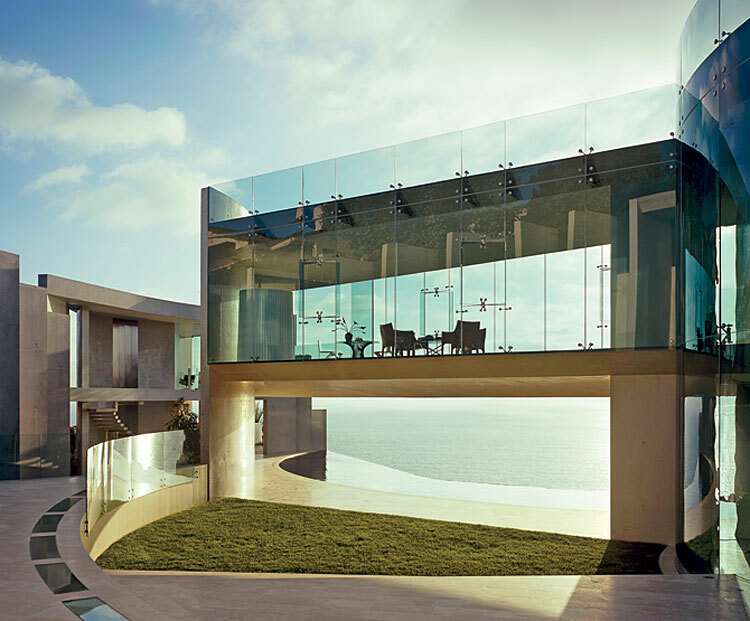 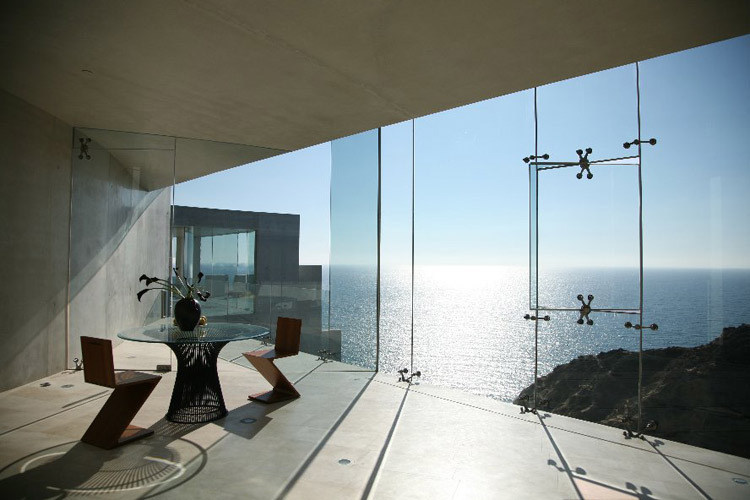 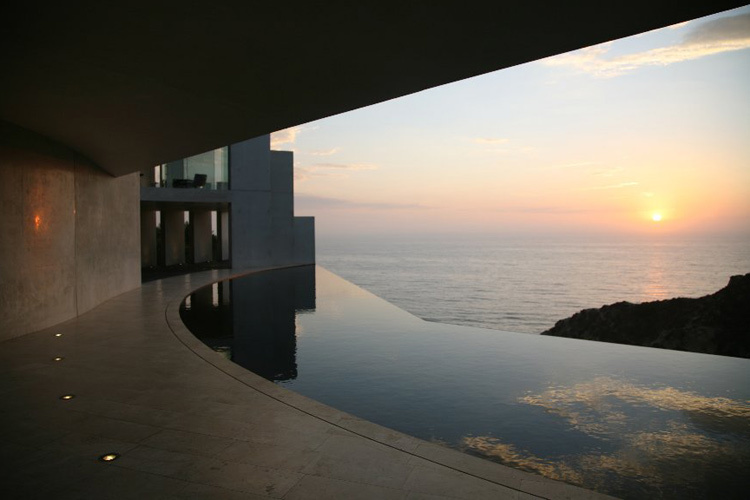 Set behind gates, and constructed from white polished concrete and floor-to-ceiling glass, this magnum opus suspends the boundaries of ordinary living and commands amazing uninterrupted views of the ocean, open sky and natural landscape. 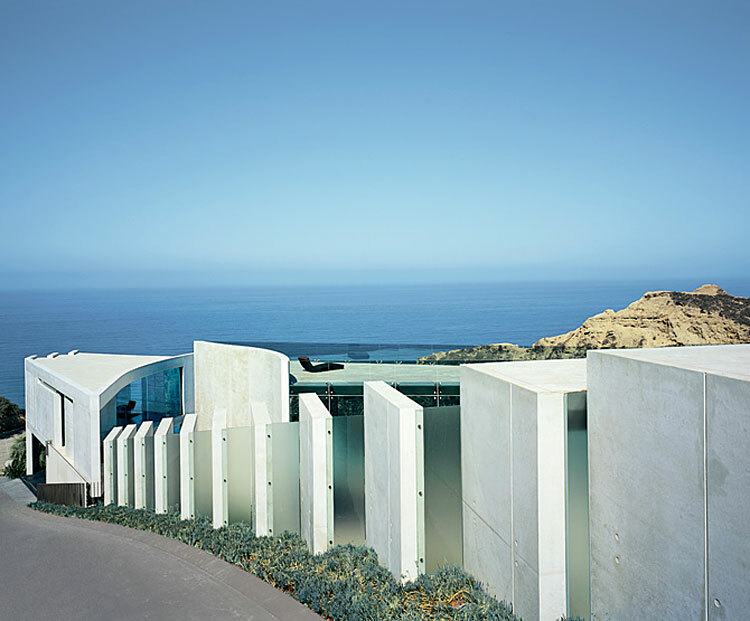 Resting high above Torrey Pines State Reserve, this 11,000-square-foot piece de resistance showcases 4 bedrooms and 6 baths, fabulous two level guest house and features private access to Black’s Beach. 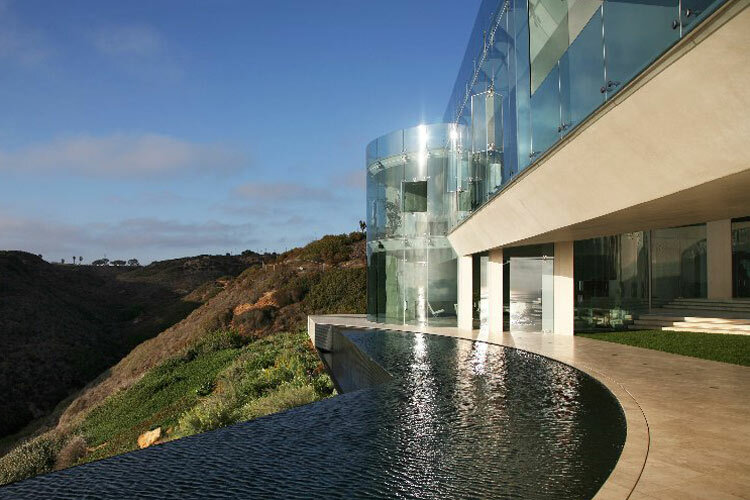 Close proximity to world class amenities: only 15 minutes from the international airport, next to Del Mar Thoroughbred race track and it borders to famous Torrey Pine preserve and golf course.